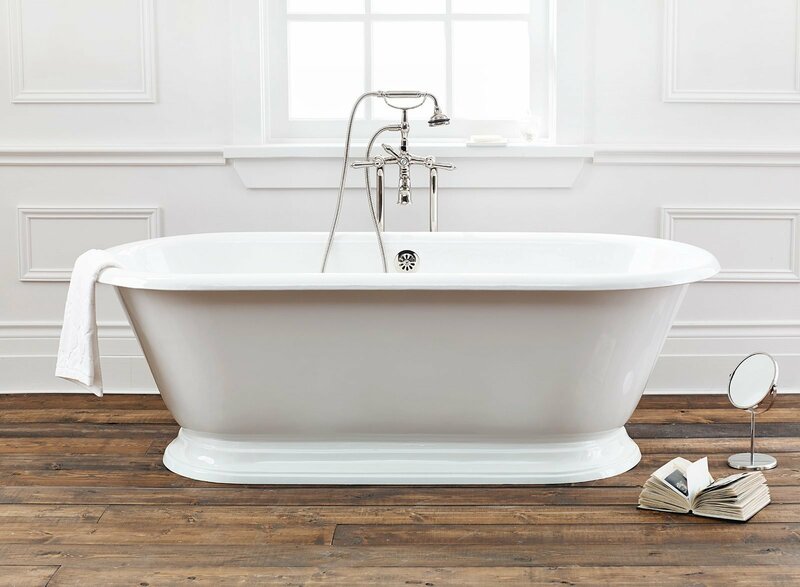 Building on the great success of the original SANDRINGHAM bathtub which was launched as part of our Master Collection, this model is now available with a white or custom painted exterior. 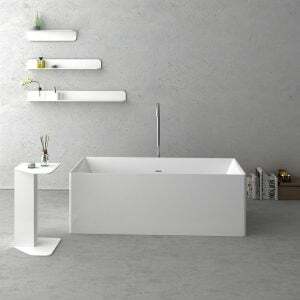 This large format bathtub offers a deep bathing experience with a low vertical profile. 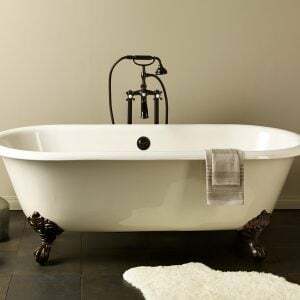 Cheviot Products cast iron bathtub are handmade in Europe with the finest materials. Fired with a thick coating of AA grade titanium-based enamel for unparalleled hardness and non-porosity, the extremely durable surface is easy to clean and resistant to stains, bacteria and other microbes. Cast iron also keeps your bath warm for the longest possible time. Please note that this product uses a low profile pedestal with reduced clearance below the drain. Horizontal waste tube will be approximately 3/4″ below finished floor level. Floor must be channeled to accommodate drain. Shown with #5115-LEV Tub Filler, #3970XL Water Supply Lines, and #2222 Waste & Overflow in Polished Nickel. Decorative and soft slip resistant bathing well.